It takes approximately 20 minutes to drive from Cardiff to Caerphilly, where we find another haunted castle. 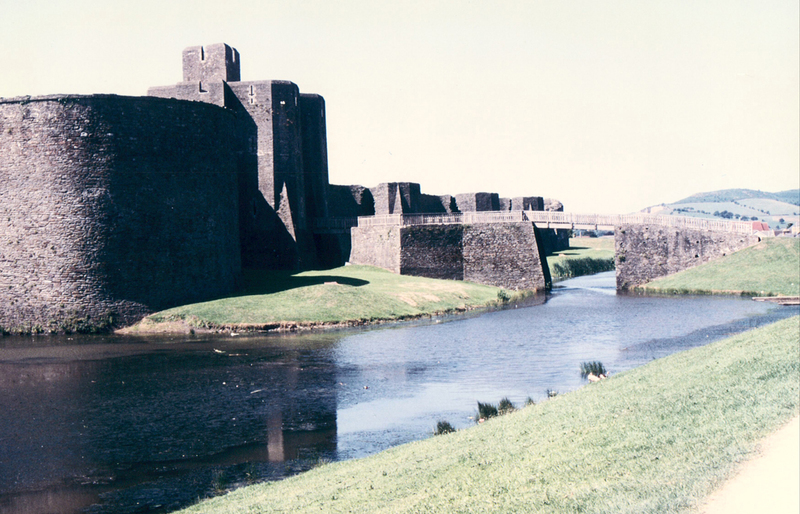 Caerphilly Castle is claimed to be one of the largest Castles in Europe, occupying a ground-space of around 30 acres(12 ha). However it is the second largest castle in Britain. Windsor Castle is the largest. The Castle is plagued by creature called the Gwrach-y-Rhibyn, which I think is a sort of a cross between a banshee and a ghoul. Probably female because she is known as the "night hag", she is green in colour with a long black cloak and wings that she utilises to fly up from the surrounding moat up into the castle where she flits from turret to turret. 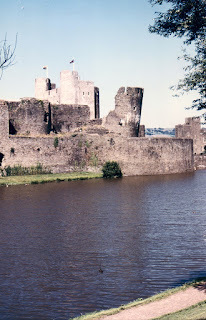 I think there have been times where she may have been over-confident because according to legend she has almost been caught a few times by men chasing her around the grounds and once by two young boys from the town of Caerphilly. But not only that... there have been reports of ghostly soldiers parading on the battlements and as recently as the mid 1980s that came to light when a couple of security guards (this time not two young local boys!) in the castle admitted to being afraid to go into certain towers. I can just imagine it now. Two security guards being chased by ghost soldiers who were also running as fast as their legs would carry them away from the night hag! 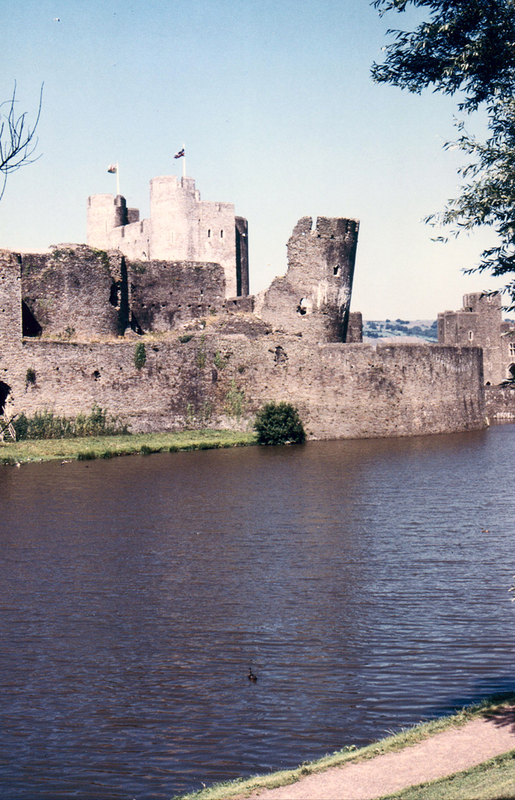 Caerphilly Castle was originally built by Gilbert 'the Red' de Clare. The addition of 'the Red' to his name is because Gilbert de Clare was a red-headed man of Norman descent living back in the 13th Century. After a bit of argy-bargy with the King - Henry III (1216-1272) - he eventually got to live in the castle until his death in 1205, just so that he could keep a watch on another enemy of his, the Prince of Gwynnedd - well, there was always disputes with us Welshmen in those days. And why not? Some wonderful castles were built because of it! Well worth a visit if it is your thing to have the living daylights scared out of you! Or maybe just to enjoy the atmosphere of the history of the building. When you've had (or not had) an encounter with the ghosts and ghouls of the castle, famous for its white cheese, Caerphilly is a small welsh town surround by hilly countryside making it an ideal base from which to experience many outdoor pursuits. For the walker there are many trails that snake their way across the Welsh hills and valleys, and many opportunities to take in some breathtaking views - ideal if like me, you love taking photos. For those who like horse-riding (an activity that I am also partial to), there's a riding centre. And if you are really into the outdoor life, there's a host of activities like canoeing, quad biking, survival courses, and practically anything you can think of that can be done outdoors! The mind bogles! And when it is time to relax, there are many restaurants and not forgetting our Welsh hospitality with a variety of hotels, bed and breakfast and guest houses.